Welcome home to SouthWay Manor, located in Houston, Texas. When you arrive come step into our serene surroundings and enjoy the tranquil peacefulness our community offers. Conveniently located near Highway 610 and I-45 our beautiful community puts you in close proximity to shopping, dining, and schools. Our goal at SouthWay Manor is to make our residents smile. It is easy to do because we have one, two, and three bedroom floor plans to accommodate singles, couples, and families. Our sizable apartment homes come fully equipped with two-toned paint, gas stoves, and multiple laundry facilities, to name a few of our wonderful amenities. 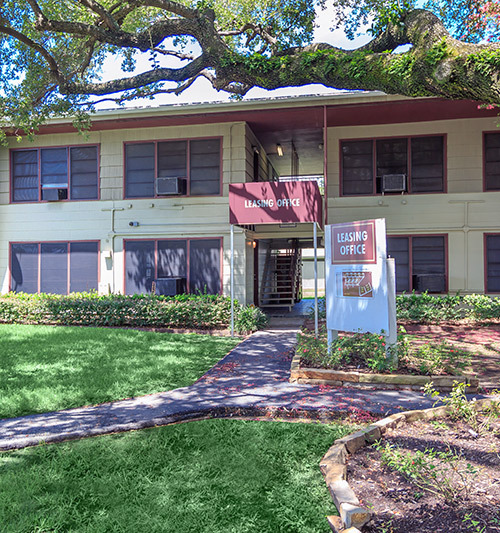 Take advantage of all the highly desirable community amenities we offer here at SouthWay Manor, which include convenient laundry facilities, greenery, and high speed internet access. Bring the whole family and come see for yourself why SouthWay Manor should be your new home!